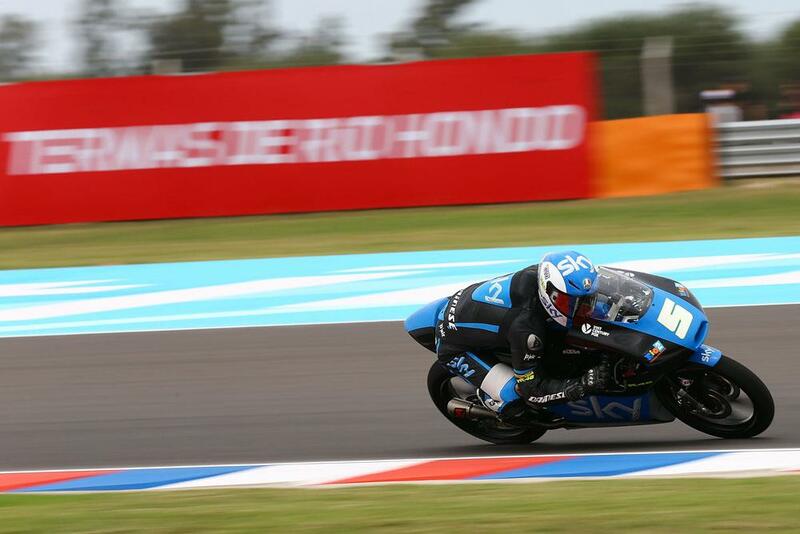 Romano Fenati has broken Jack Miller’s win streak, bumping the Australian out of the way on the penultimate corner of the first ever Argentinian Moto3 race to take the first win for Valentino Rossi’s KTM team. Alex Marquez was second, taking advantage of Miller running wide after the collision to slide through. Miller, despite being in the one-two of the race-long fight, ended up in third, just ahead of one of the race sensations, Belgian Livio Loi, who made a brilliant fight from 11th to fourth, showing the pace to run with the leaders at the end. 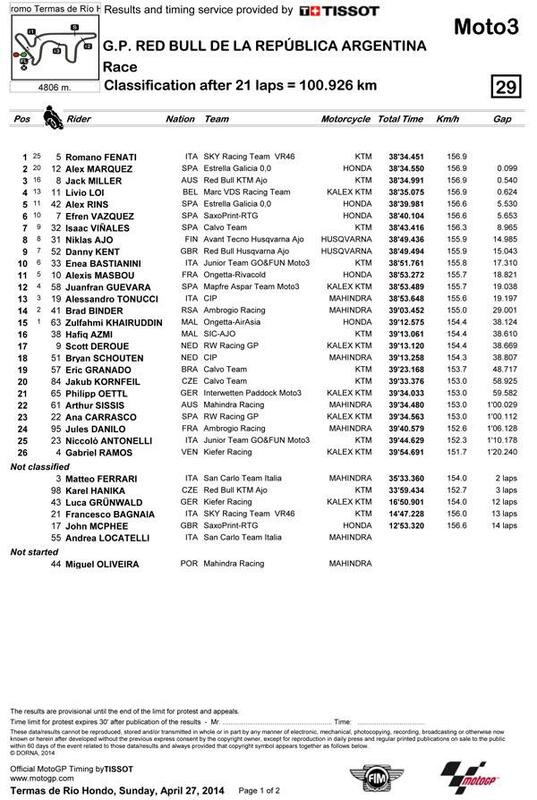 Alex Rins and Efren Vasquez, an early battler with Miller, were the second group 3 seconds back, with Isaac Vinales, Nikolas Ajo and Danny Kent back in ninth, despite crashing in the last turn and sliding across the line. John McPhee was unlucky to crash out of the race from the top six, running very strongly earlier in the race before dropping out at one third distance after losing the front on the dirty track.